Palais Georgia – Oberto Oberti Architecture and Urban Design Inc. 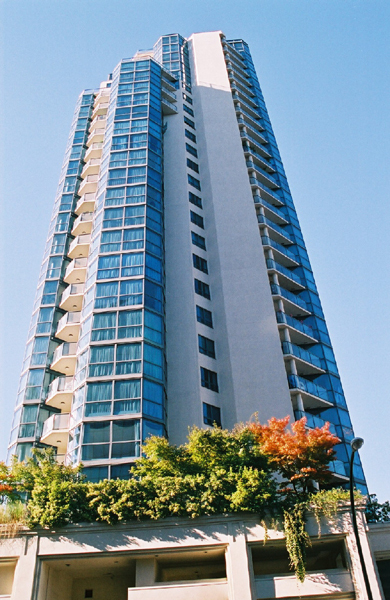 Located in Vancouver’s Coal Harbour district, the high-rise residential structure overlooks the North Shore mountains and the Burrard Inlet. It is the result of the combination of architectural work and project managementbeing undertaken by the single office. This results in a more daring structure and a better finished design within economic constraints. The structure is a 31 storey building with 86 residential suites. 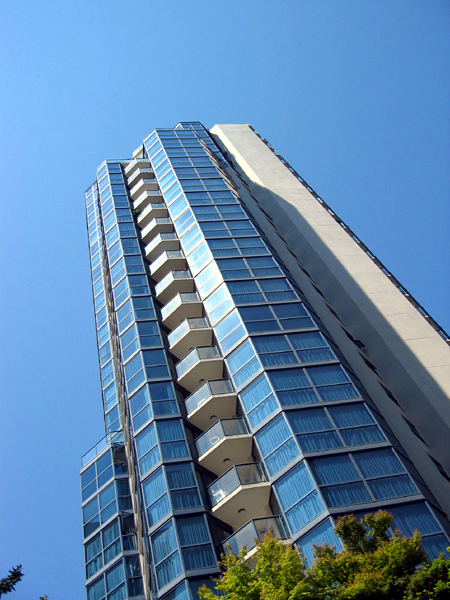 The base of the tower emphasizes the amenity space and entry lobby. The grand lobby spaces feature a 14 foot skylight and open a line of sight between the elevators through to the water of Burrard Inlet and the mountains. Finished in marble and granite, the lobby faces onto Georgia Street and features an indoor garden and a mini-atrium overlooking a pool. The pool level includes a full skylight — almost two storeys high — and an exercise room and jacuzzi. To maximize the stunning views, suites feature extensive use of floor to ceiling glass, especially in living and dining rooms, as well as enclosed balconies. The design emphasis is on the vertical through an innovative combination of glass and walls. 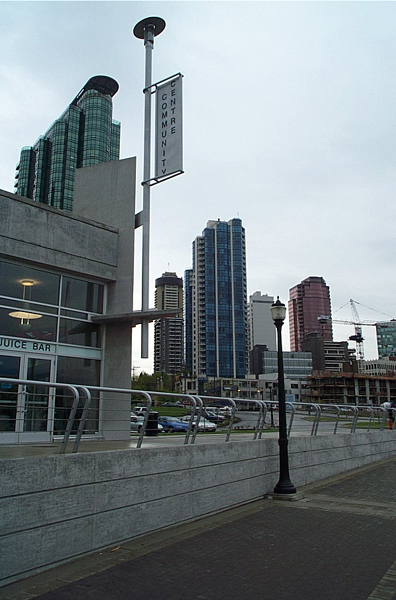 In a departure from the regular use of stucco on the exterior, lightweight concrete and steel stud prefabricated panels were used to provide a more true and consistent finish. Granite is also used in the exterior finishing. 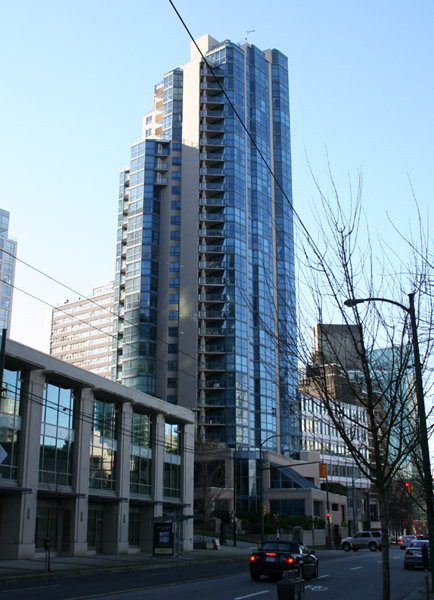 The project was a ground breaking development in terms of residential developments in the Downtown District of Vancouver. 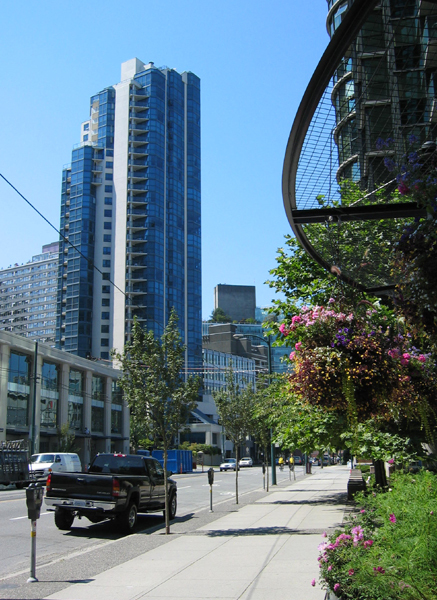 It was the first building in the district that received rezoning to exclusive residential use, ushering in a new era of revitalization for the downtown core of Vancouver.